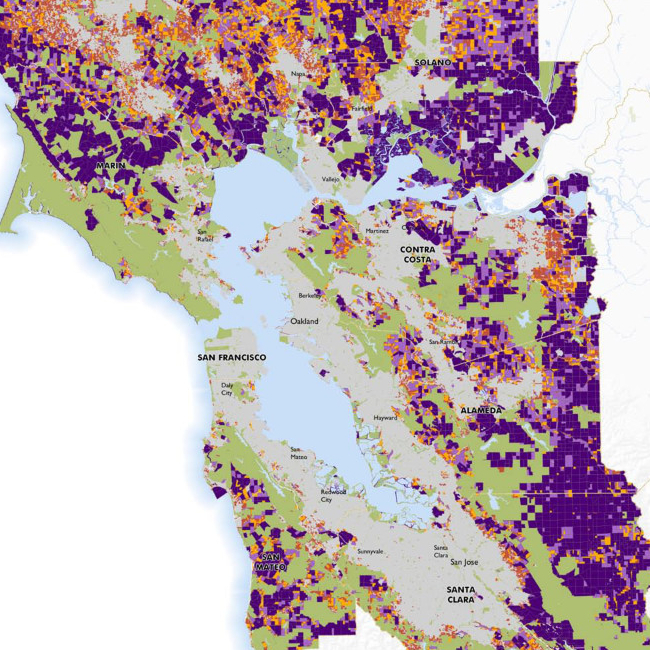 See links below to access each individual key regional dataset. 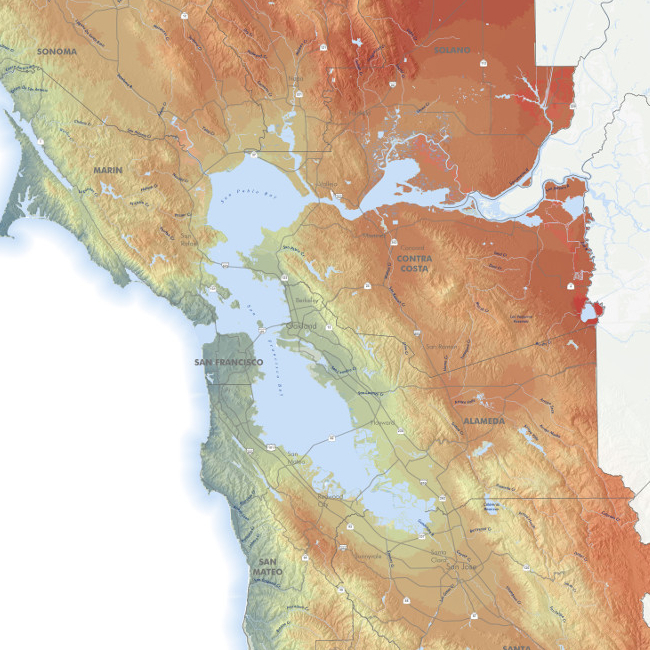 A coalition of 65 member organizations and public agencies in the 10 counties of the San Francisco Bay Area who are protecting, preserving, and stewarding parks, lands, trails, and working lands. The CLN is a project of the Open Space Council. 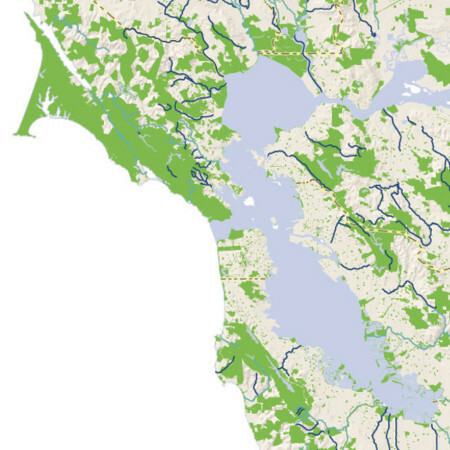 Areas of historic tidelands that lie between the elevations of the high and low tides, including those areas that would be covered by the tides in the absence of levees and other structures. 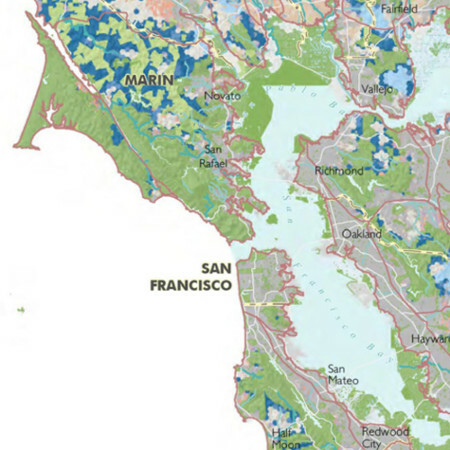 These lands were the focus of the Baylands Ecosystem Habitat Goals, a regional, ecosystem-based vision for habitat protection. The complex of living organisms, their physical environment, the interactions among these organisms, and how they array themselves in the physical environment (Noss 1990, Redford and Richter 1999). The degree to which a landscape facilitates movement by organisms or processes; the antithesis of habitat fragmentation. Areas protected for natural resource values by public purchase or easement, or private lands with a cooperative agreement and some level of stewardship for biodiversity. 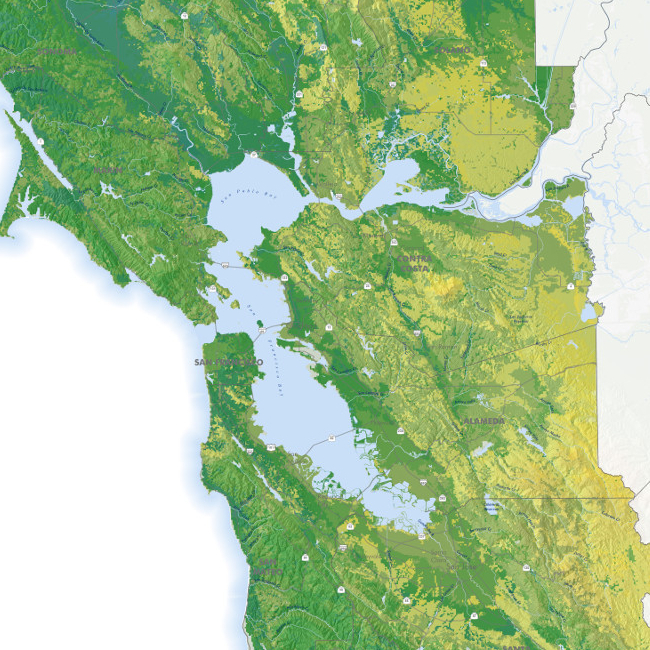 The configuration of Bay Area habitats and linkages needed to meet the goals for biodiversity conservation. 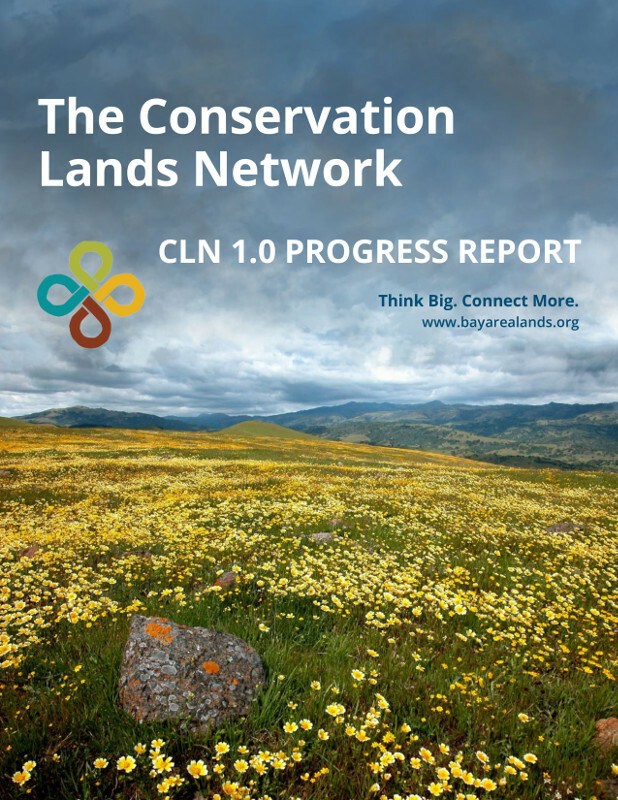 This network (also called the CLN) identifies areas that support irreplaceable, rare, and endemic plant and animal species, while also encompassing common plant and animal species. 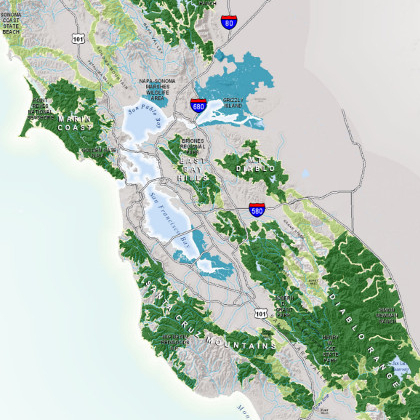 The CLN meets the conservation goals for the vast majority of nearly 1,400 vegetation type and fine filter species targets, is relatively well-connected, and explicitly includes the stream and riparian network. The CLN includes lands already protected as well as those proposed for conservation; it is a guide and not a list of priority properties. 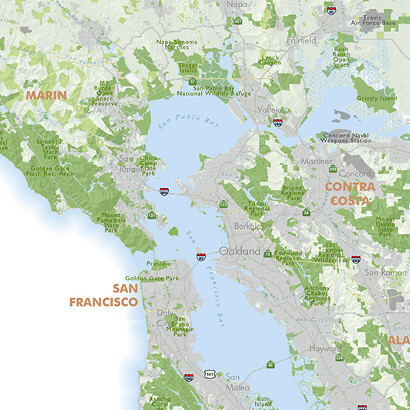 The Conservation Lands Network is best explored through the maps and CLN Explorer tool available at www.BayAreaLands.org. A selected group of conservation, planning, and science professionals who provide strategic guidance and input on the Conservation Lands Network Science Expansion project. Experts in a range of subjects who provide guidance on the vegetation, animal, and ecosystem service “conservation targets” (see conservation targets). The systematic process of identifying areas important for conserving biological diversity or other open space values. 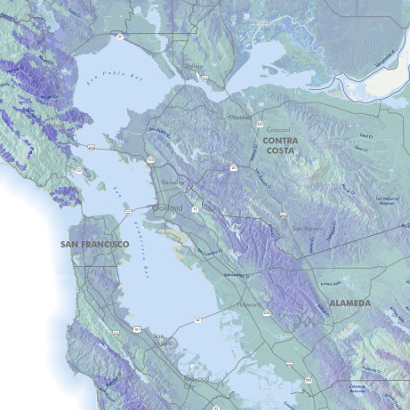 The result of this planning process is a network of lands that best conserves all elements of biodiversity within the planning area and strategies to permanently protect the network and maintain ecosystem health. Used by wildlife for annual migratory movements between source areas (e.g. winter and summer habitat). Used for one-way movements of individuals or populations from one resource area to another. Link habitat elements to support daily movements including breeding, resting and foraging. A common alternative to single-species approach to conservation. 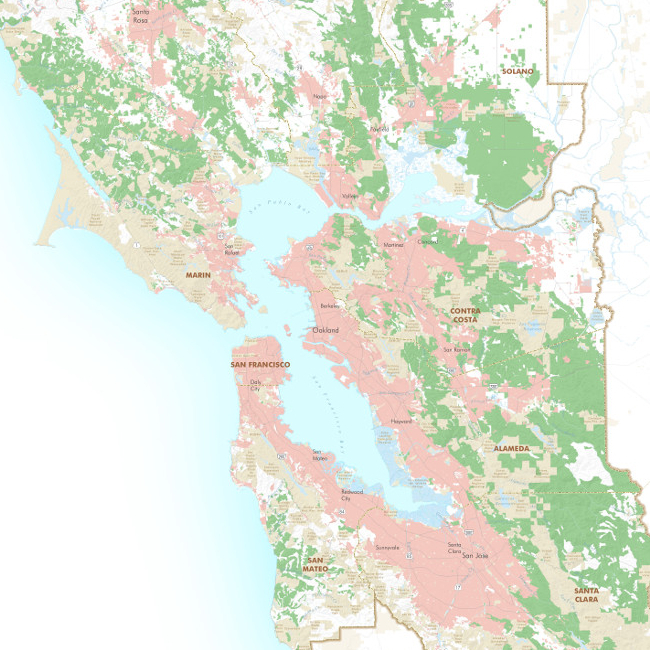 It is a process of mapping a network of lands that will maintain the biodiversity of a region. Identifying conservation targets begins with the selection of ecological communities as conservation targets. These act as the “coarse-filter” targets (Noss and Cooperrider 1994, Poiani et al. 2000). Focus teams made up of experts then add those species with unique ecological requirements (called “fine-filter” targets) not already captured by the conservation of those communities in which they are embedded. 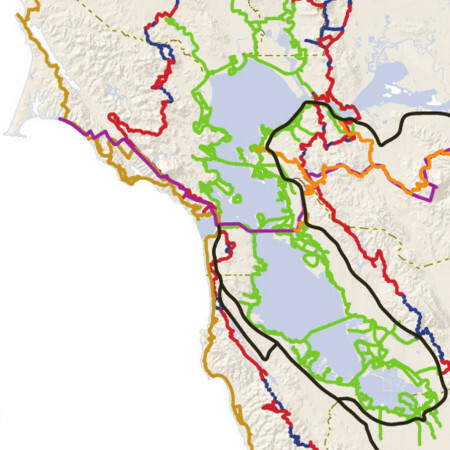 A project led by SC Wildlands and the Bay Area Open Space Council that identified 14 linkages – or landscape-scale wildlife corridors – in the Bay Area and surrounding mountain ranges. The project concluded in 2013. 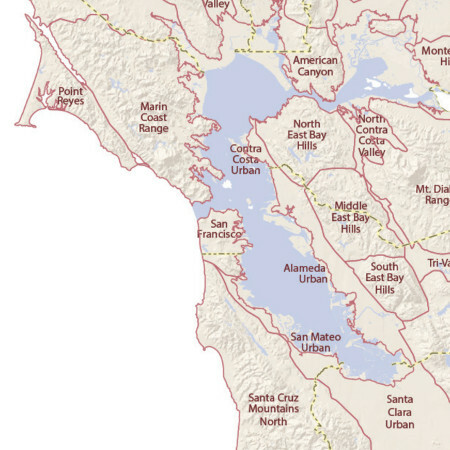 The Linkages are available on the Maps & Data page of bayarealands.org. The practice of protecting, preserving, and stewarding land that has not been developed or has been restored or enhanced for natural resource values and biodiversity. 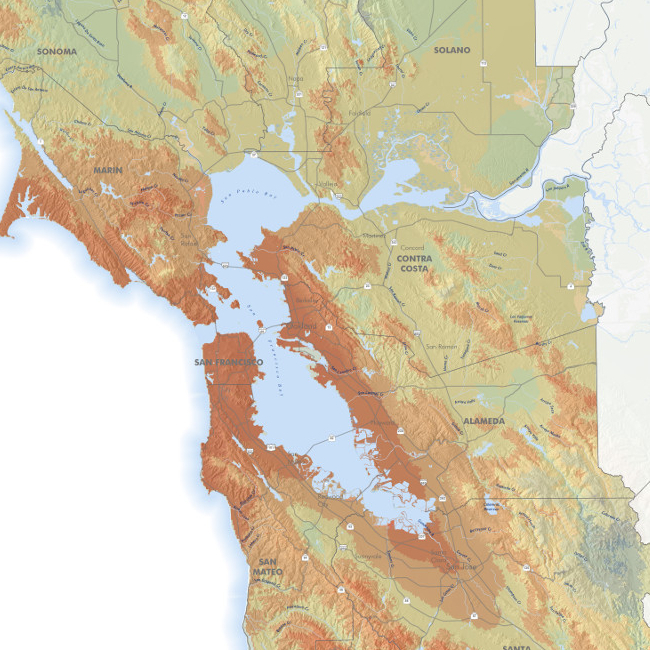 Includes open spaces, parks, preserves, trails, refuges, and working lands. 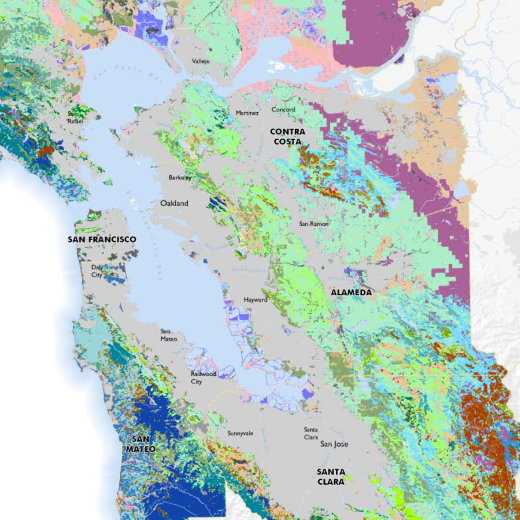 A geographic division of the Upland Habitat Goals Project study area; developed by the project team to create geographically coherent units that are based on physiographic features such as mountain ranges and valley bottoms. A large-scale, intact corridor that facilitates wildlife movement between habitat areas that is essential for maintaining biodiversity and healthy ecological processes at the landscape level. Although the term is frequently used synonymously with corridor, ‘linkage’ technically refers to broader regions of connectivity important to facilitate the movement of multiple species and maintain ecological processes. 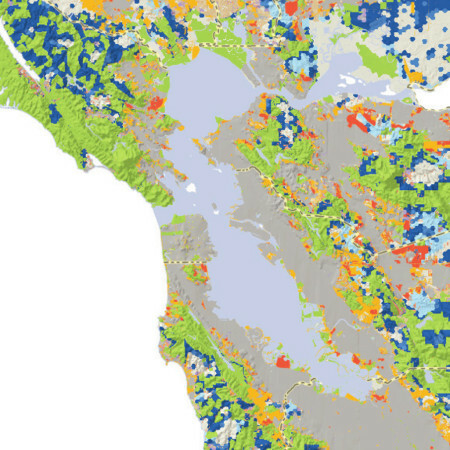 Conservation planning software designed to assist in developing a near-optimal spatial reserve design that achieves specified biodiversity representation goals. Marxan was developed at the University of Queensland and can be downloaded at no cost at www.uq.edu.au/marxan. 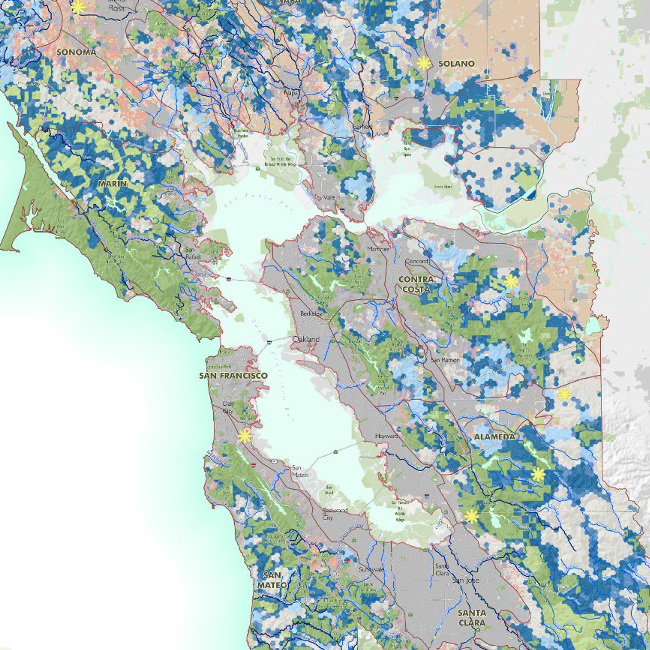 Land that is undeveloped or lightly developed that naturally acts as habitat for plants and animals, provides space for geophysical and ecological processes, and provides countless benefits to humans (e.g., groundwater recharge, recreation, visual respite, community aesthetics). As such, open space is considered a socio-ecological value. The degree to which regional landscapes, encompassing a variety of natural, semi-natural and developed land cover types, are conducive to wildlife movement and sustain ecological processes. In Marxan, a planning unit is the basic unit at which a decision is being made (i.e., included in the CLN or not). The Marxan analysis to produce the CLN uses a regular “grid” of 100-ha (250-acre) hexagons as the planning units. The practice of appropriately taking care of a piece of land or a landscape to maintain and improve ecological function. 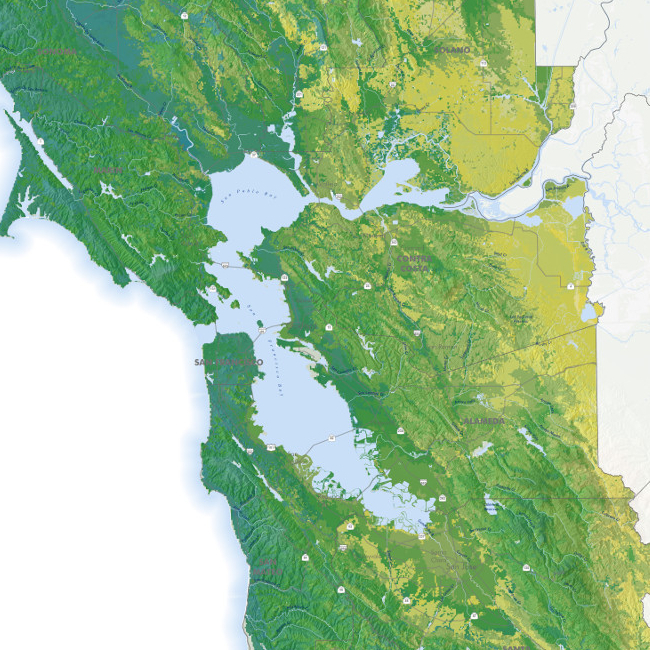 All of the submerged area beneath the bay’s water surface including mud, shell, sand, rocks, artificial structures, shellfish beds, eelgrass beds, macroalgal beds, and the water column above the bay bottom. 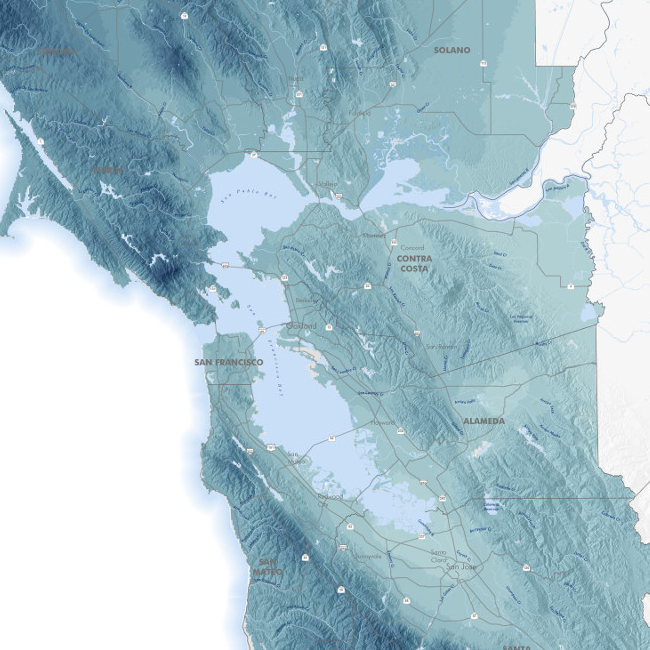 The focus of the San Francisco Bay Subtidal Habitat Goals Project. 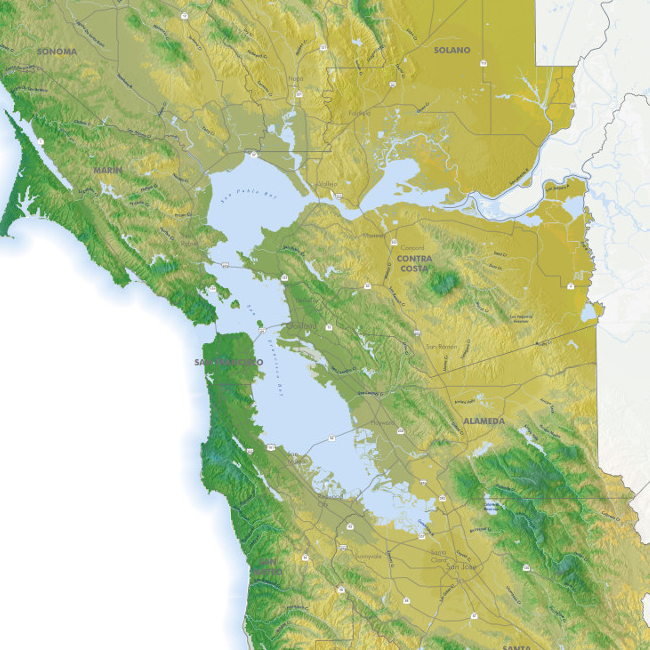 As used in this project, refers to all habitats found above the baylands, which were the subject of the Baylands Ecosystem Habitat Goals and therefore not included in the Upland Habitat Goals Project.